Hello everybody. This is a summary of the last week of development in OpenSimulator. Except where otherwise specified, the changes described here appear only in OpenSim’s cutting edge Git ‘master’ branch. Please do not attempt to use code taken directly from ‘master’ in any production environment. Sometimes this in-development code may not work or may even cause data corruption. If you are not a developer or tester, please treat this summary instead as a preview of what will be coming up in the next release. The latest official release is OpenSim 0.7.0.2 (released on Saturday 11th September 2010). This week in OpenSim ( e2c6ed2 – d4323dd ). OpenSimulator 0.7.1-rc2, which is the second release candidate for 0.7.1, is now available for download and testing! Please see the announcement for more details. Dahlia decreased the frequency of avatar position updates when avatar velocity is unchanged. This leads to smoother movement but also introduces a lurch when OpenSim does send an update, since the client’s extrapolation of avatar position and OpenSim’s calculations do not agree with each other. This was the case bfefore but it’s more noticeable with fewer updates. This needs to be addressed. This change will not be in 0.7.1 (16f6f55). When using Mono, OpenSim now requires a minimum version of 2.4.3 since Mono versions below this do not implement ServicePointManager.get_ServerCertificateValidationCallback(). This will apply to 0.7.1 (1201084). Snoopy contributed a patch that allows the grid/standalone to filter viewers based on the version string that they submit. Naturally, this is not particularly secure since it’s trivial for a client to fake it’s version string, much as a web browser can fake its User-Agent field (e0576b5). I fixed a regression where physical objects rezzed by scripts with an initial velocity did not receive it. This is fixed in both master and 0.7.1 (50aa931). MrMonkE contributed a patch that brings OpenSim’s MSSQL database adaptor up to equivalence with MySQL. This has been applied to both master and 0.7.1 (7ecf689). I stopped the scripting change() event firing twice with CHANGED_INVENTORY if a notecard was edited in a prim. This fix is in both Git master and the 0.7.1 branch (cd7517c). Diva changed region border crossings so that all attachment data is sent in one packet rather than individual. Backwards compatibility is preserved with older sims. This change is in Git master only (d4323dd). Mic continued to work on adaptive queue management and fair queueing. 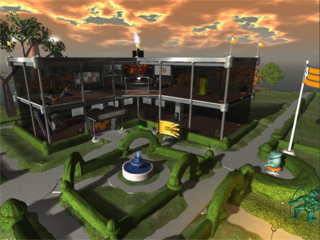 The aim is to significantly improve the performance of OpenSim’s implementation of the LLUDP viewer-server protocol. This week in OpenSim ( 03e725a – 44e43d9 ). OpenSimulator 0.7.1-rc1, which is the first release candidate for 0.7.1, is now available for download and testing! Please see the announcement for more details. The Git branch used for this release candidate and subsequent candidates is 0.7.1-dev. This release candidate contains everything in OpenSim Git master up until commit b8e2823. Past that, only certain bug fixes will be included. This means that everything below and in past summaries is included apart from the agent limit feature – unfortunately one has to draw the line somewhere otherwise a release would never happen. I added a configuration parameter that can be used to turn off taking objects as a coalescence. In other words, if CoalesceMultipleObjectsToInventory = false is set in the [Inventory] section of OpenSim.ini then the old behaviour of taking every selected object as a separate item is used instead (419fc94). I fixed an issue where coalesced objects were being rerezzed in the wrong positions (5a404a9). I fixed a bug where Viewer 2 voice would not work with OpenSim and instead spammed the region console as it repeatedly tried to initialize itself (ccc26f7). Dahlia fixed a meshing failure on sculpt maps smaller than 64×64 (212326e). I fixed a bug where a coalesced item saved to an Inventory Archive (IAR) or rezzed on a foreign grid over the hypergrid would not always transport all the required assets to set up prim inventory items (63c1b7e). I tidied up FreeSWITCH configuration and made its logging somewhat less verbose (223c90c). Melanie implemented region agent limits. These can be set in the Region tab of the Region/Estate dialog in Linden Lab’s 1.23 Second Life viewer and probably in a similar location for third party viewers (13d6e05). E. Allen Soard contributed a patch to allow a MaxAgents value to be set in region config files that acts as an upper bound for the agent limit that estate owners can set. See the OpenSim wiki for more details. This week in OpenSim ( ebc249e – 70084c5 ). I added “config show” as a synonym for the “config get” command, in order to bring it into line with other show commands. “config show” will print out the configuration of a region simulator as aggregated from all the loaded configuration files, which can be handy for debugging and fault finding (0bd6bc8). E. Allen Soard contributed a patch that implements the HTTP_VERIFY_CERT option for the llHTTPRequest() LSL command. This allows the HTTP request to accept any SSL certificate rather than just those signed by the standard certificate authorities (464fa45). I added the ability to rez objects directly out of prim inventory (e.g. by drag and drop on a standard viewer) (8e0d2cc). I exposed the HttpProxy setting in the [Startup] section of OpenSim.ini.example. This is used by llHTTPRequest() and dynamic texture loading (424995e). Diva fixed a failure in serializing scene object sculptie data. This looked pretty significant, so I’m surprised it hasn’t been noticed before now (5c8790f). I fixed a bug where rezzing a coalesced set of objects would give all the objects the same name as the item. The proper behaviour is to give the item name only to the first object that was selected when the coalescence was taken. I implemented correct rerezzing of all objects in a coalesced item loaded from an Inventory Archive (IAR). Please be aware that there is still a bug where in some situations all the required assets for rerezzing items in an object aren’t saved into the IAR. This may only apply to the root prims of all objects other than the one first selected (a0d8014). Diva implemented the correct taking of coalesced items on the Hypergrid. See Mantis 5431 for more details (cd6dce1). This week in OpenSim ( e8e940e – 19c6d1d ). Melanie made the change() script event fire for CHANGED_OWNER again (e8e940e). Melanie implemented coalesced objects. A coalesced object is created in inventory when two or more objects are taken simultaneously, where those objects are not in the same linkset. This does not currently work on Hypergrid, IAR/OAR saves/loads and possibly not when a coalesced object is placed in another prim’s inventory (adb14ad). Mic merged in adaptive queue management and fair queueing code from the queuetest branch. This leads to significant improved perform for the LLUDP viewer-server protocol (65af4ba). Snoopy contributed a patch that makes the “All Estates” option work from the viewer. This option applies selected changes to all the estates that the user owns on that simulator, rather than just the one they are currently on. This is not yet applied to all simulators on a grid (f58941e). I changed parcel info requests to be handled asynchronously rather than synchrously. If these requests are handled synchronously then a delay from remote simulators in handling parcel info requests (e.g. when someone down-arrows through the list of parcels from the ‘parcels for sale’ list) can cause the inbound client packet loop to effectively hang, which freezes all avatar activity (c1dec22). I changed prim counts so that if an object appears in the selected count it doesn’t also appear in one of the other counts (owner, group, others). If this does happen then the total displayed by the viewer is wrong (3d400fc). I switched llGetParcelPrimCount() to use the new prim counts code (f030ba8). I made the refresh button on the parcel object owner list work again (acacee9). I fixed prim counts to properly update if a scene object changes position programatically (e.g. through scripts or a region module) (83189a5). I bundled a Mac OS X SQLite library with OpenSim such that the bundled one is used rather than the system one. The normal SQLite database option should now work with Mac OS X again (1b136f7). I removed the legacy SQLite adaptor and its config parameters. This is no longer necessary now that the main adaptor works for Mac OS X again. The legacy adaptor was also not properly maintained. If you see any problems running OpenSim after “git pull” from OpenSim master then clean the build first (nant clean or xbuild clean on Mono). Otherwise, the legacy OpenSim.Data.SQLiteLegacy.dll will still be around and causing problems (9d40c0d). Melanie added llGetUsername(), llRequestUsername(), llGetDisplayName() and llRequestDisplayName(). However, since display names are not yet implemented by OpenSim, these functions just return the avatar name (abea0c7). I updated the native Open Dynamics Engine (ODE) physics library bundled with OpenSim for Mac OS X to r1755. This brings it into line with the bundled Windows and Linux libraries. This revision anecedotally appears more stable (i.e. fewer physics related core dumps) (2aa3984).